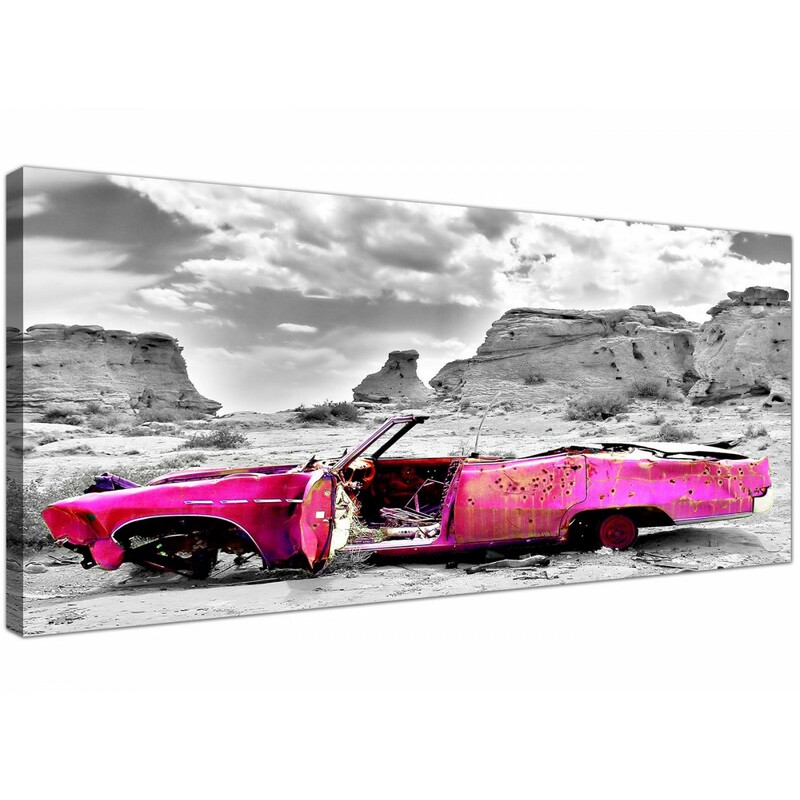 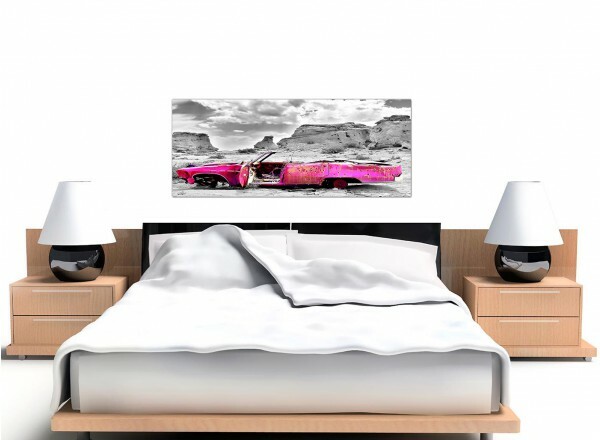 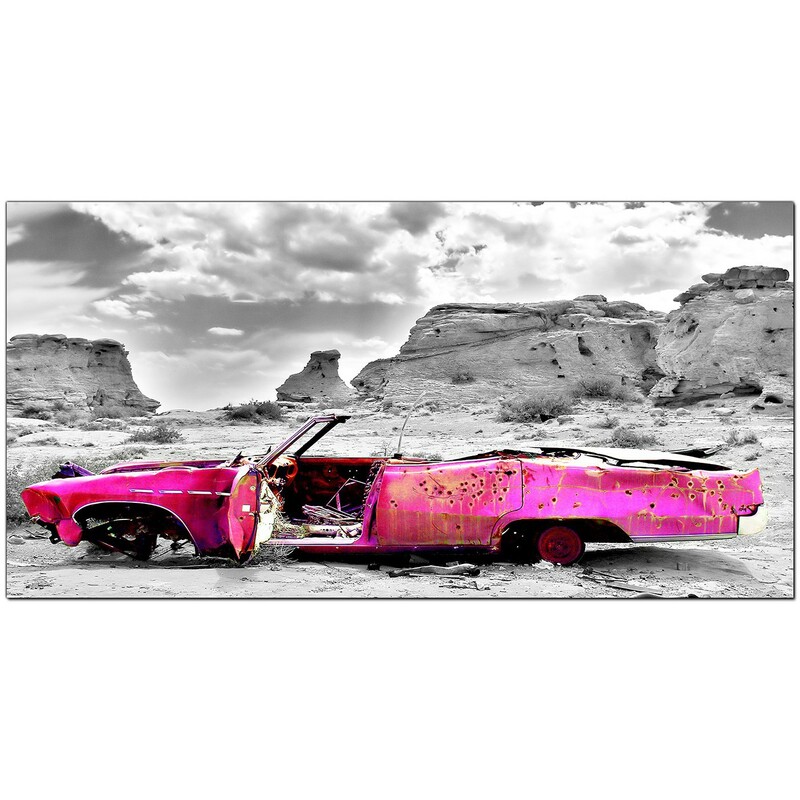 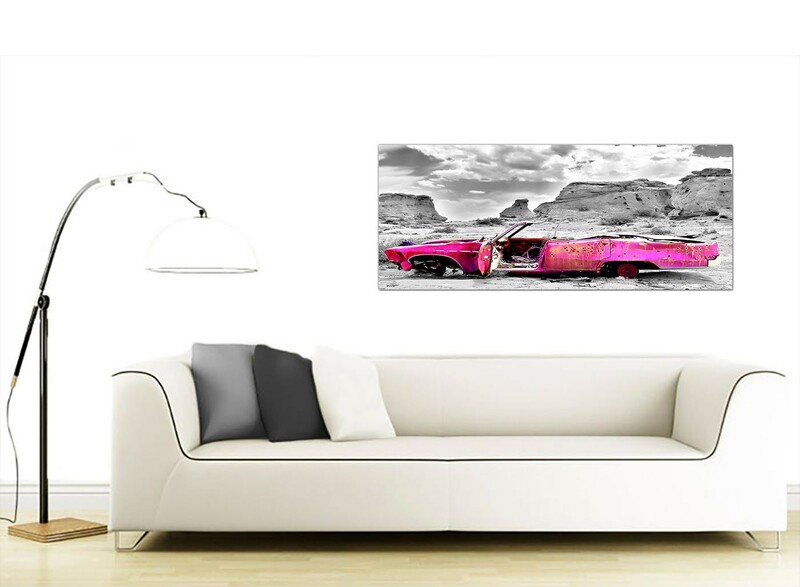 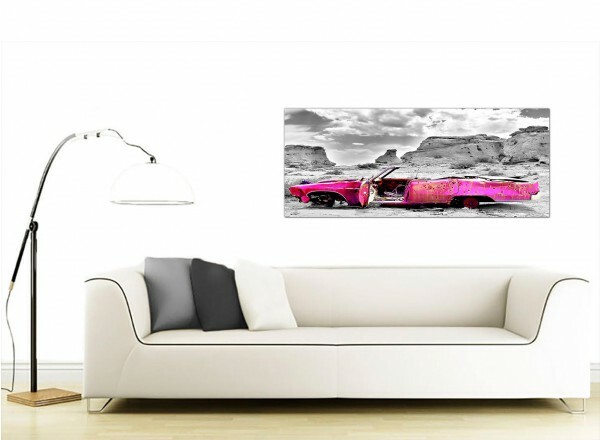 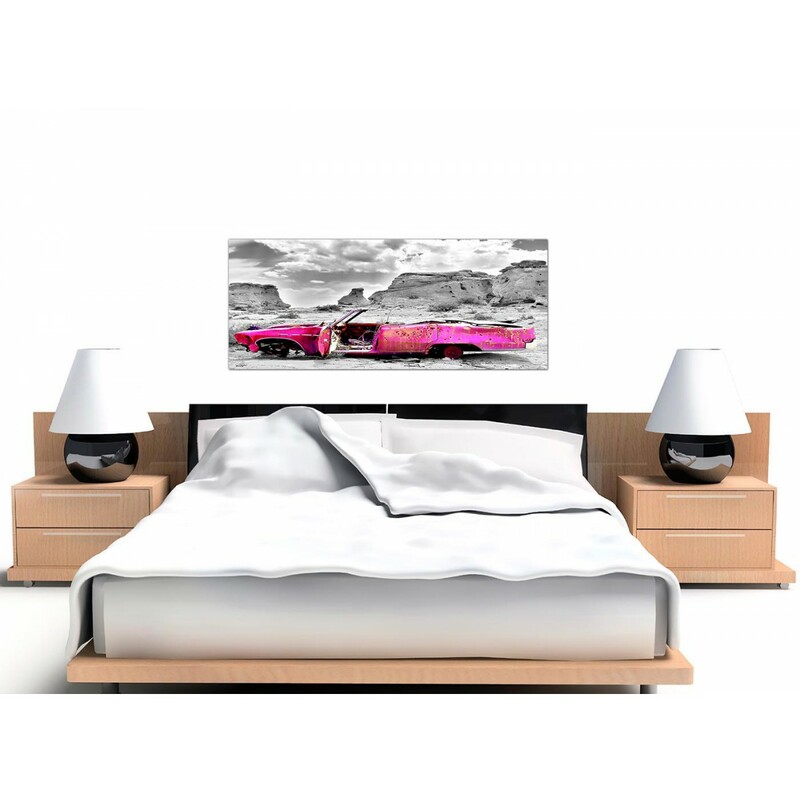 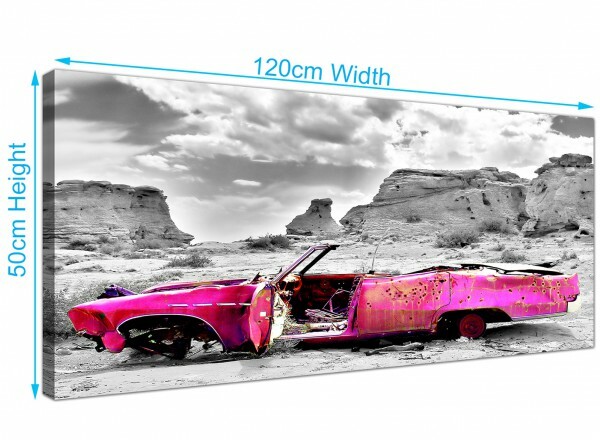 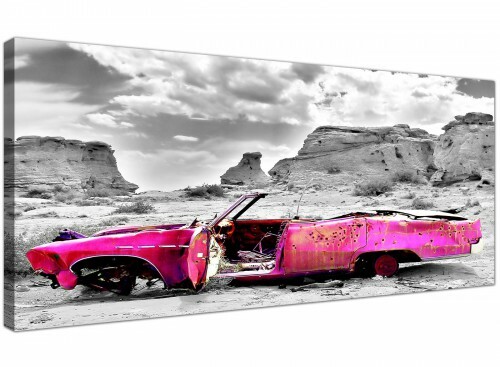 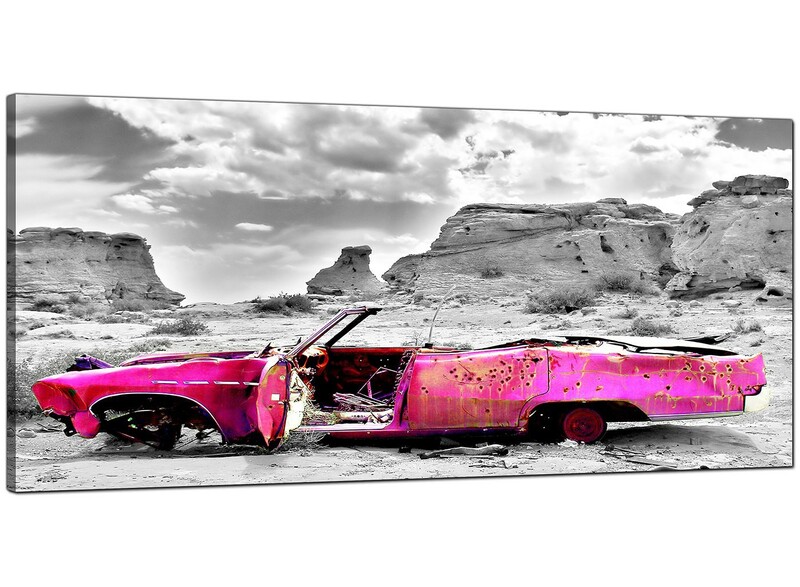 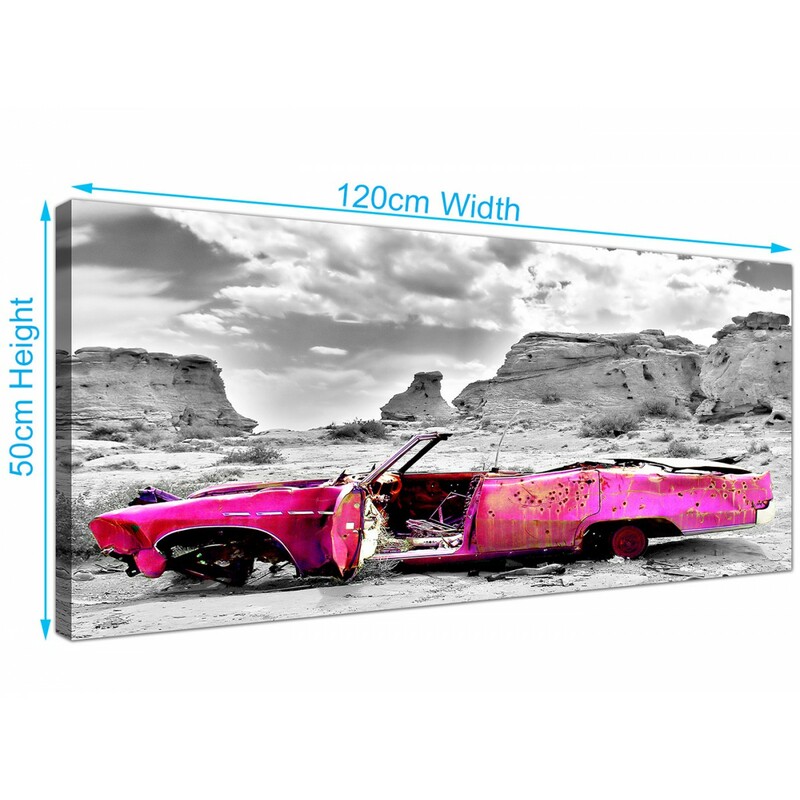 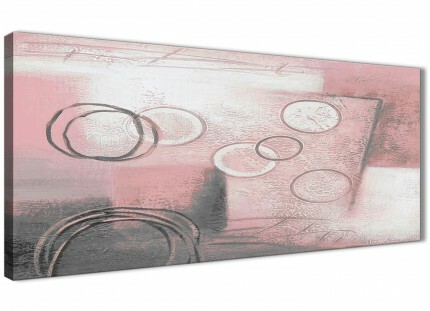 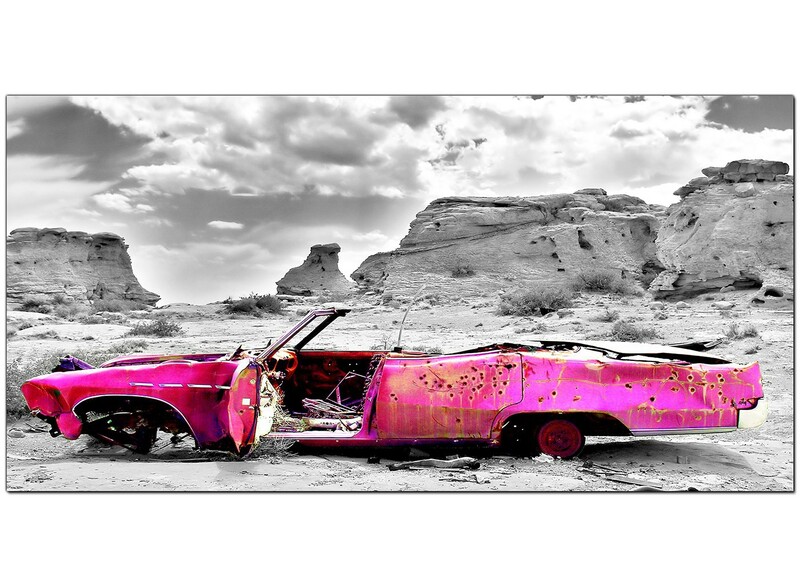 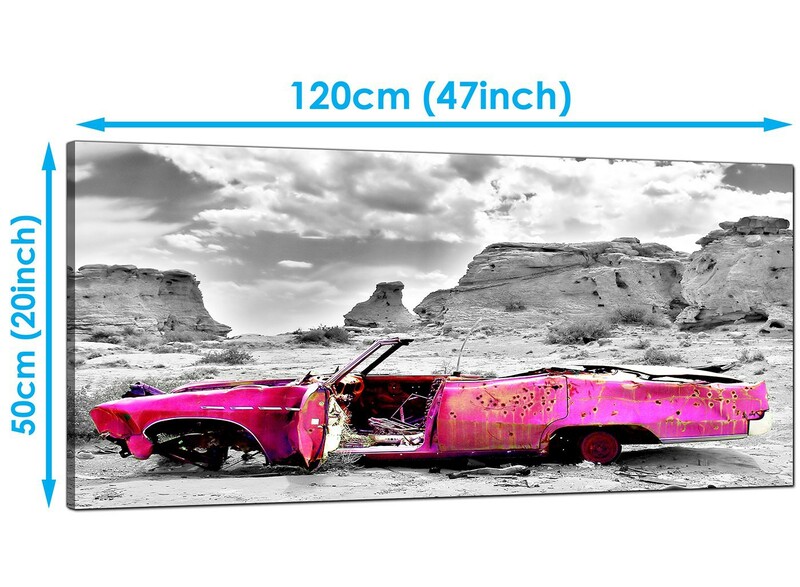 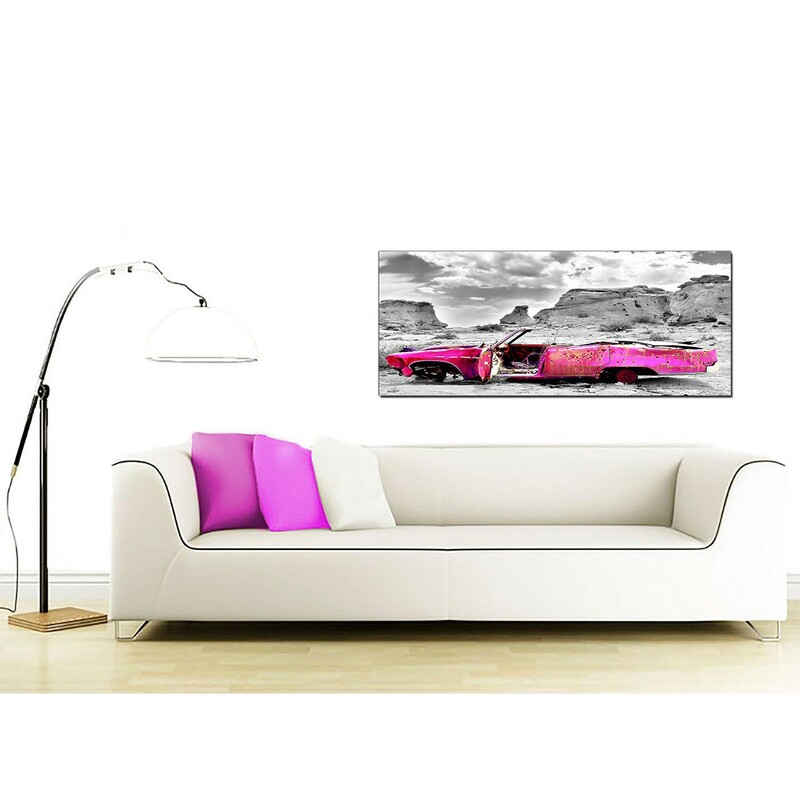 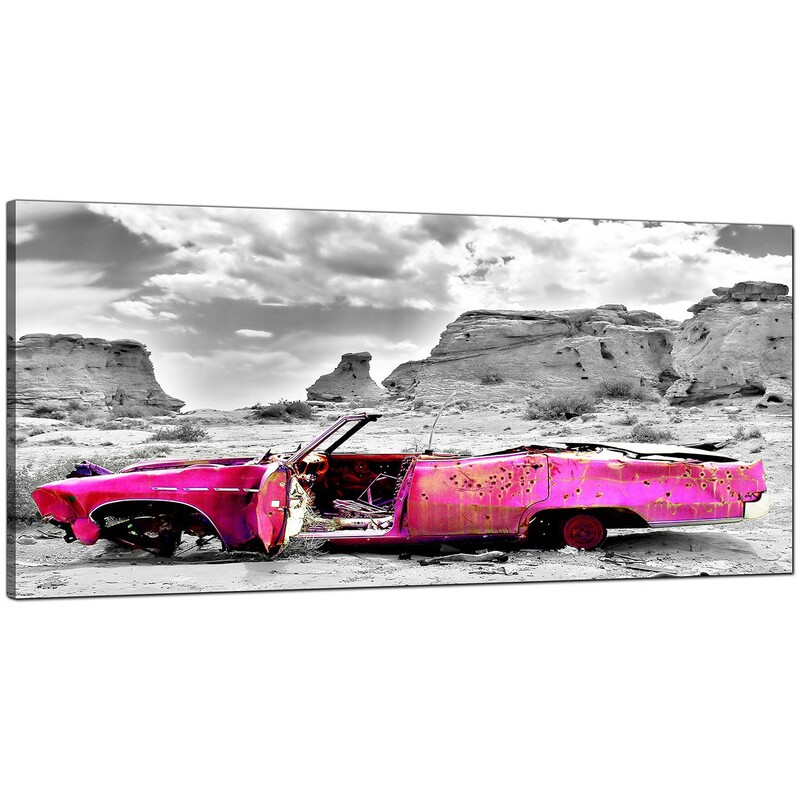 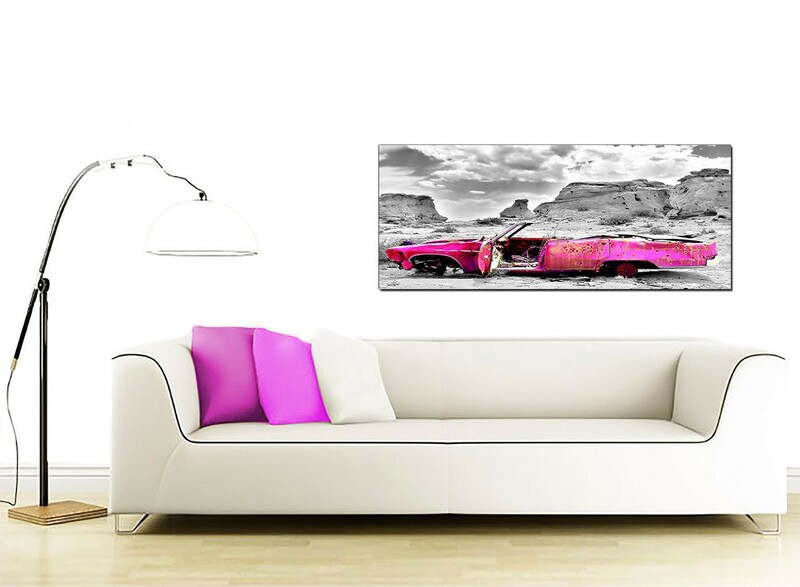 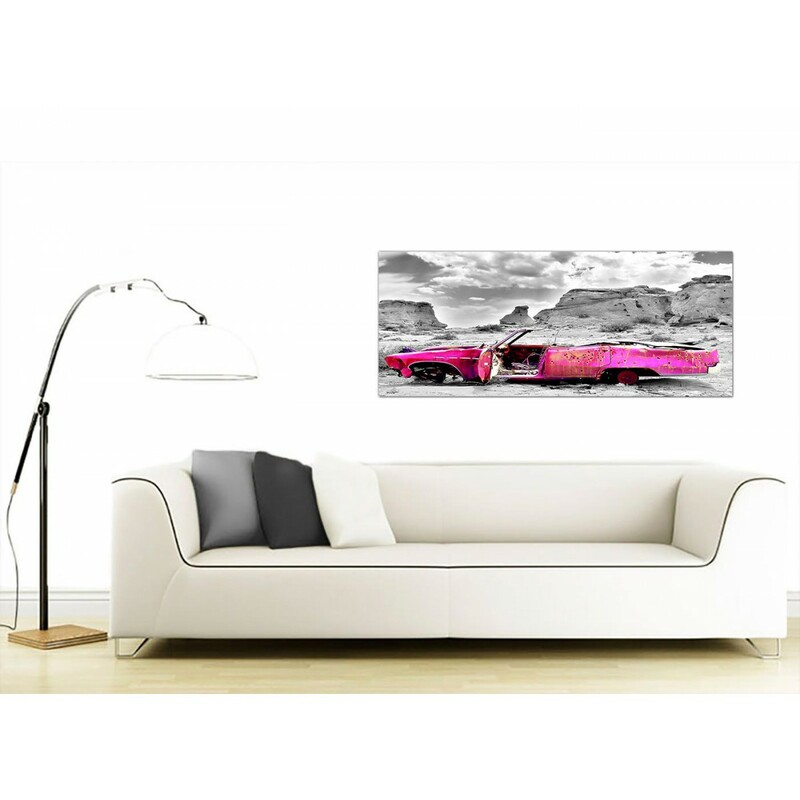 Modern canvases of a pink car in a monochrome landscape. 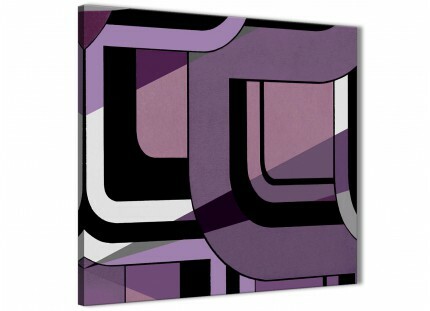 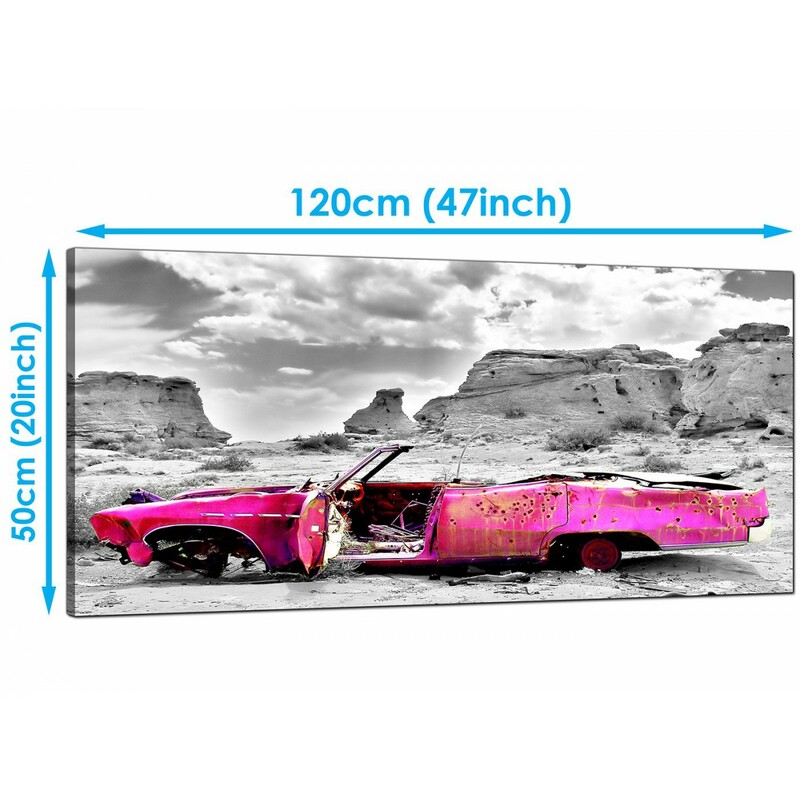 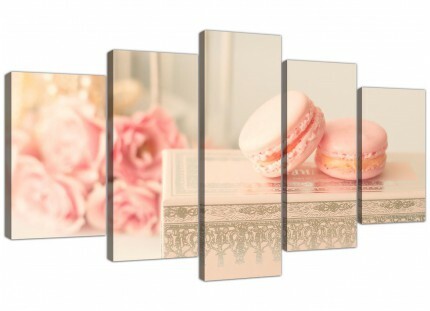 A huge black & white stylish panoramic canvas wall art. 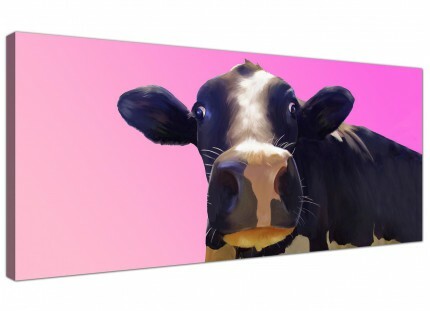 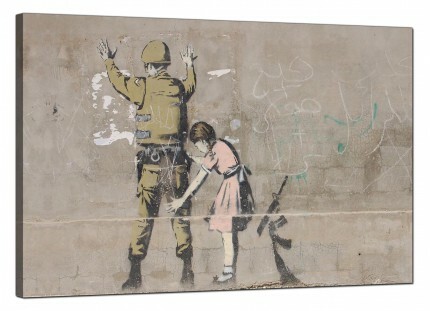 Britain's largest wall decor brand. 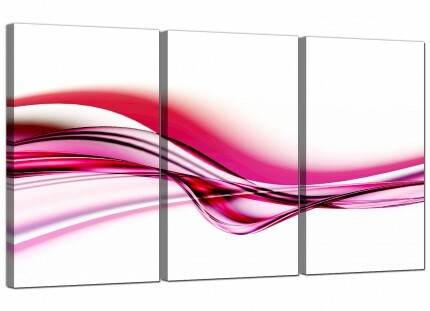 Excellent length for over your fireplace.